The “Telecom Towers Market” research report encloses a profound study of the telecom towers market. It represents as a helpful resource for the new business players and existing companies in the market. The key driving force for the socio-economic development of a country comes from the telecommunication industry. The growing competition between telecom providers is increasing consumer demand for better connectivity, speed and wireless technology. 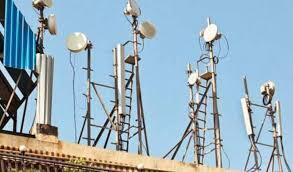 Telecom towers are facing a challenge to fulfil these demand but advanced technology has made the process easier. Over the past 30 years, the demand for broadcast and wireless communication has fueled in dramatic way which led to increased number of communication tower construction and maintenance. This is projected to evolve over different generations of network communications. The expedition started with ‘0G’ mobile telecom service (MTS) to contemporary long term evolution (LTE)/4G, 5G and Cloud. Especially mobile telecommunication, it has turned to be a necessity to everyone. Major boost to the mobile industry took place with the advent of second generation (2G) mobile telecommunication as it was intriguing for customers to browse internet on mobile phones coupled with clear voice calling facilities. At present, most countries possess 4G connectivity, a highly dense networking system. It facilitates enhanced data transfer rate and real time audio and video calling. However, developed countries like Japan and U.S. are thriving on 4.5G and striving for 5G network communications. Companies like At&T are unveiling its plan for 5G roadmap which entirely focus on three pillars like Mobile 5G, Edge Computing and Fixed Wireless. Other well-known industrial IoT solutions provider like Wind River has joined hands with British Telecom to establish edge cloud computing applications. Evolution in cloud-based services for roll-out of 4G LTE and mobile users across the globe has soared the network investment by carriers, has tremendously driven the demand for the telecom towers market. Apart from that, tower sharing is also playing an essential role for propelling the telecom industry owing to its cost-effectiveness and faster data rollout. As every cloud has a silver lining, telecom towers at the initial setups and rolling out of these technologies are resulting in high cost that is leading key market players to adopt alternative cost-effective strategies. Besides that, the growth of telecom tower market is directly proportional to the number of telecom service providers in any region and mobile subscriber density which remains a major challenge. Also, service provider experience restriction due to permissible height limits when installing multiple towers in small zones. Other factors that deter the market growth is side effects of high frequency microwaves or radio waves on environment and human and stringent rules and regulations of government towards installation of telecom towers suppress the telecom authorities. The world is steadily moving towards intelligence-based automation. Technologies like artificial intelligence and machine learning are emerging on an exponential rate and strikes hard in making network more intelligent. For telecom service need of hour is to couple with digital innovation like upcoming fifth generation (5G) which begin the journey towards a ‘zero touch network. Opportunities will ramp up for autonomous vehicle connectivity if 5G implemented with huge amount of authorized data. This will secure future market opportunities like driver safety and easy data processing and management. Utilizing these new technologies will also turn bag of challenges related to secure and highly automated network. So far, software defined networking (SDN) is one of the greatest inventions that is capable of transforming network architecture and resolve issues related with digital transformation. Conventionally, TowerCos have experienced higher revenue growth due to growing tenancy ratios on their portfolio of sites. The coming in demand for wider network coverage and lesser network capacity has surged, leading to sustained duration of higher tenancy ratios for TowerCos. However, this trend is losing traction, as operators in developed markets like Europe are not exhibiting interest in coverage expansion and to a lesser extent small cells to offer network capacity and partially utilizing rooftops. Mergers & Acquisitions offer numerous benefits in different ways such as increased value for the shareholders, improved overall efficiency and access to newer markets. They are a significant aspect of corporate financing and strategic management. The process involves selling, buying, combining different entities of an organization to accelerate its growth and sales. This study is based on acquisition of WhatsApp by Facebook. Facebook has a track record of 76 successful acquisitions.